FLINTON – At a December meeting of the Glendale Education Foundation, the board filled a position left by long-time director, Clark Cree, who has moved away from the area. In a unanimous vote, Jessica Radcliffe of Coalport was installed as director. The board also voted to move its financial holdings to First Commonwealth Bank of Houtzdale, which offers a checking account that doesn’t require non-profit organizations such a high minimum balance, allowing for more money to be in interest-bearing accounts as well as online banking for ease of transferring funds. 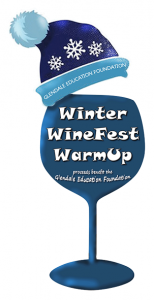 Radcliffe will be working with the three members of the fundraising sub-committee, Michelle Sawyer, Kristen Jasper and Vickie Johnston on a brand-new fundraiser, entitled “Winter WineFest Warmup.” It’s scheduled to be held at the Coalport Fire Hall on Saturday, Feb. 9, from 1 p.m. – 4 p.m. The four wineries, which will be on-hand, for participants to sample and purchase from are: Glendale Valley Winery, Woody Lodge Winery, Bee Kind Winery and Starr Hill Winery. In addition, there will be over six other food or craft vendors, music, door prizes, as well as basket raffles, 50-50 raffles and food for purchase. Updated information will be available on the Web site: www.GSDFoundation.org or the Glendale Education Foundation Facebook page. One must be 21 years of age to enter and people can purchase (pre-event) tickets ahead of time for $15. Tickets will be $20 at the door Feb. 9. Tickets are available from any foundation board member, or from Leyo’s Supermarket and Josie’s Restaurant or by e-mailing rsnyder@gsd1.org. Checks can be made payable to the Glendale Education Foundation and can even be mailed to 1466 Beaver Valley Rd., Flinton, PA 16640. Participants will receive glassware for sampling wine, free snacks and popcorn, a chance to win door prizes, as well as to participate in the basket and 50-50 raffles that day. The board is anticipating a nice crowd that day as it’s so close to Valentine’s Day, and since tickets are limited, interested individuals are encouraged to purchase their tickets early for this unique event. 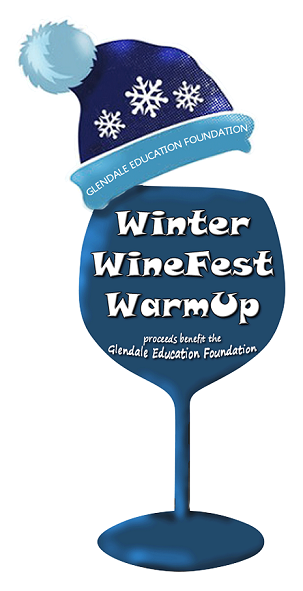 All proceeds go to assist the Glendale Education Foundation’s mission: To generate and manage resources to enhance learning opportunities for students and staff of Glendale School District.